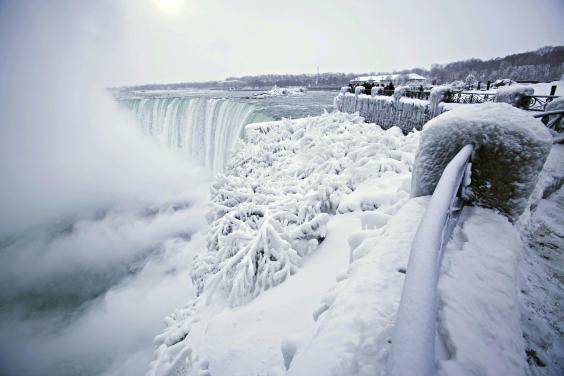 Niagara Falls located in Ontario, Canada, attracts around 14 million tourists every year. 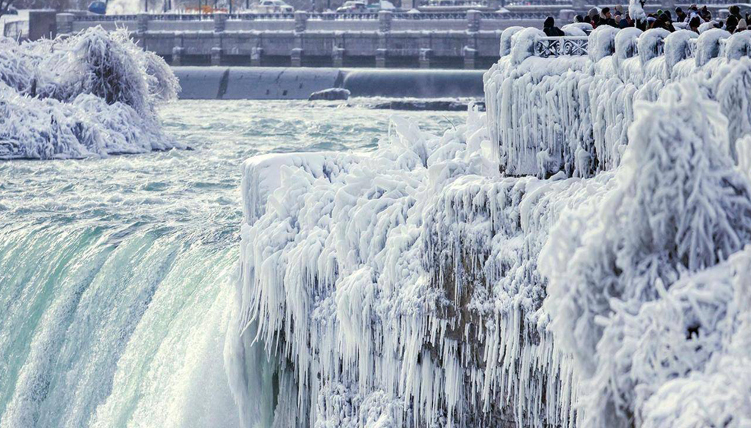 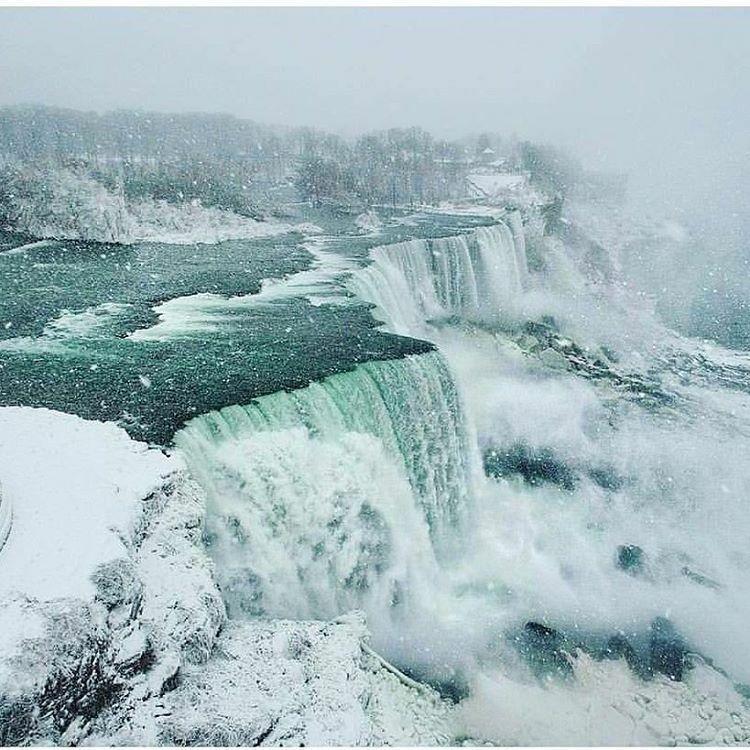 At this moment, it is freezing cold at Niagara Falls, but it cannot keep the tourists away from the beauty. 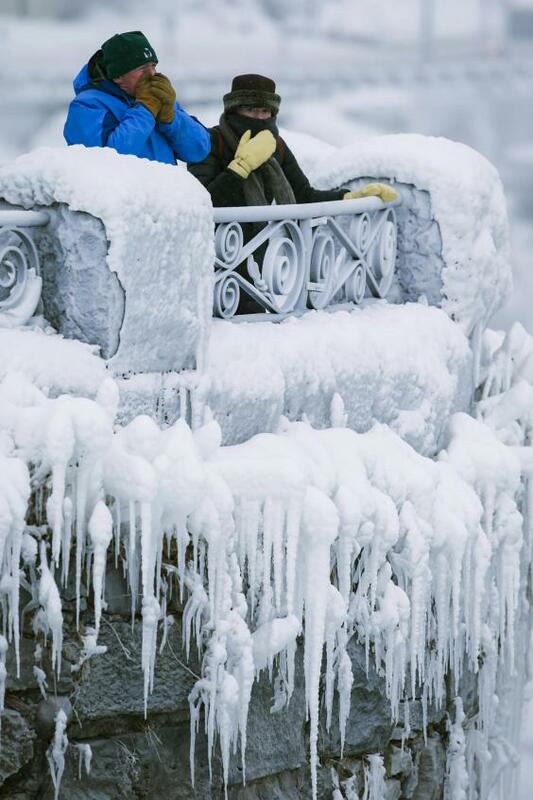 The pictures are making me belief that paradise might look like this.